It’s just a small order, I just really wanted the nail polish and bought the other things since they were really inexpensive! I paid for most of it using their points, every point is worth 1ct and you can get them by ordering stuff, writing reviews and uploading photos/videos. I can really recommend this if you’re low on cash and want to buy some great budget items! There’s not a lot to say about this; it’s a file and cuticle cutter in one. The cutter is really sharp, and is great for removing dead skin and hangnails (which I get really often..). Luckily, it’s protected by a cap so you don’t cut yourself on accident. The file is quite fine and allows for a smooth finish on your nails. The pointy end is useful for getting the dirt out from under your nails. I’m really glad I bought this polish before it sold out! It’s a beautiful metallic shade of light blue, which looks silver or blue depending on the light you’re in! It’s opaque in two to three coats (depending on the thickness) and the formula is very smooth and glides on easily. It’s absolutely packed with glitters and doesn’t need a top coat. I needed to shake the bottle vigorously, because the formula wasn’t really consistent, but that’s a really minor thing. It does have a strange, but not entirely unpleasant smell to it. 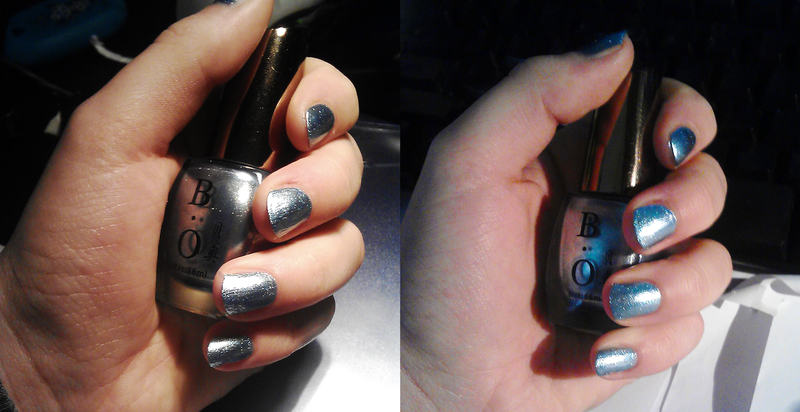 There is a darker blue version of the same/a similar polish (same brand and bottle), which you can find here. I’m planning on buying it because it looks lovely and I want to check if they’re similar. I bought two of these by accident, but since they’re so cheap and much fun to open (I love surprises), I was actually glad I got two! 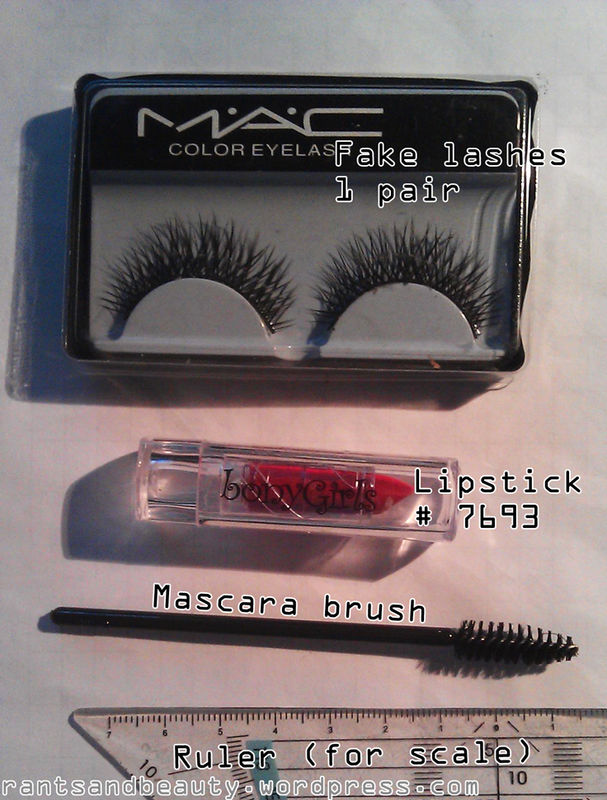 The second set contains a black, loose eyeshadow (it can be bought in a set of 12 colours, which is on my wishlist! 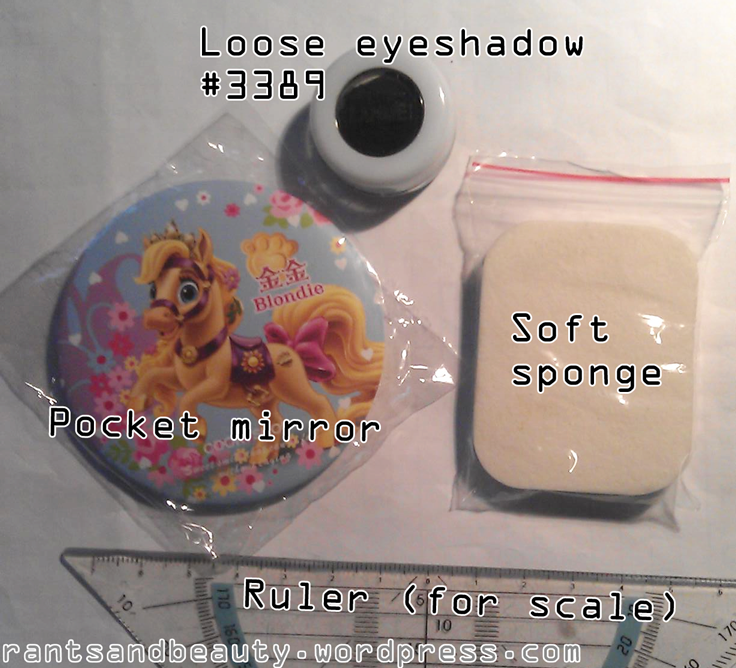 ), a soft sponge and a pony mirror. I’m not used to working with powder eyeshadows (I only have pressed ones) but it’s very pigmented and I’m going to have to try it out soon! The sponge is very fluffy, but I haven’t found an use for it yet. The mirror is.. well.. let’s just say I’m not a big fan of ponies. Anyone want a cute little mirror..? Well, that’s it for now! I’ve got a few items in my shopping basket already, I only need to collect a couple of more points to buy the items I want!